4. It's Temperate! Double layered protection with a space between the glass and plastic which provides for total condensation protection and some additional insulation for your beverage. Won’t make a mess on your wood table! 5. It's Easy to Use! Leak-proof flip cap lid to “drink on the go” and a safety lock to prevent accidental opening & leakage. 6. It's Portable! The easy to carry handle & protective casing makes it perfect for anything... whether you're headed off to school, the office, gym, at the pool, relaxing at the lake or headed to a sporting event. I will tell you that I absolutely love the leak-proof flip cap lid. It makes it easy for me to drink while I'm on the go, in the car, walking, or just relaxing. I also love that it is shatterproof and durable. I have dropped mine on numerous occasions and it is still intact! 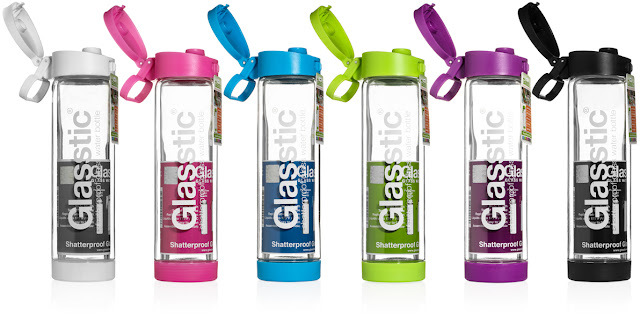 Glasstic water bottles are available in several colors: Black, White, Pink, Green, Purple and Blue. So, why not get a different color for each member of the family? 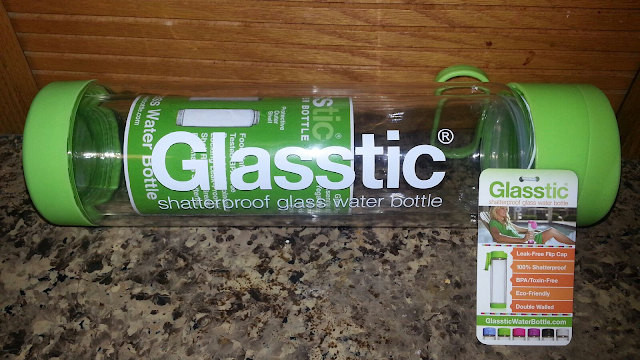 For more information and to view a demonstration video of the Glasstic Shatterproof Glass Water Bottle please visit http://www.glassticwaterbottle.com. These look like a great water bottle. I love that it's made of glass but also shatter proof and also leak proof. This is a super cool looking product, I love that it is not metal or plastic...Way cool! I've heard of these, but hadn't really paid any attention. Wow! They are great! I'm trying to drink much more water, and this is a must have!